The Reveal Imager is a multi-spectral computer imaging system that uses standard white light and cross-polarized flash. 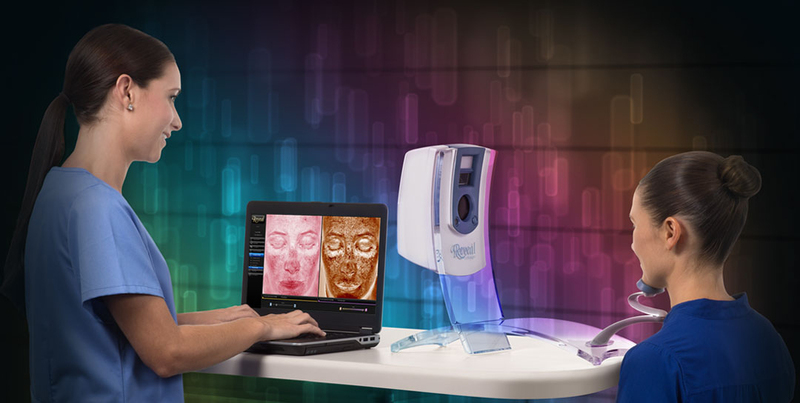 The device enables a specialist to see beneath the skin surface, visualizing specific conditions as related to both vascular disorders and hyperpigmentation. This information is very useful in determining the best treatment plan and for tracking improvements in a patient’s skin health. These photos, along with its customized report, allow to design a skincare program specifically addressing a patient’s skincare needs. During a consultation, a skin care expert can evaluate and review a customized report and recommends a personalized skincare regimen. More about The Reveal Image coming soon! PreviousPrevious post:January 17, 2015 Saturday open appointments available!NextNext post:If you’re looking for a safe and effective way to turn back the hands of time, Botox just might be your answer.